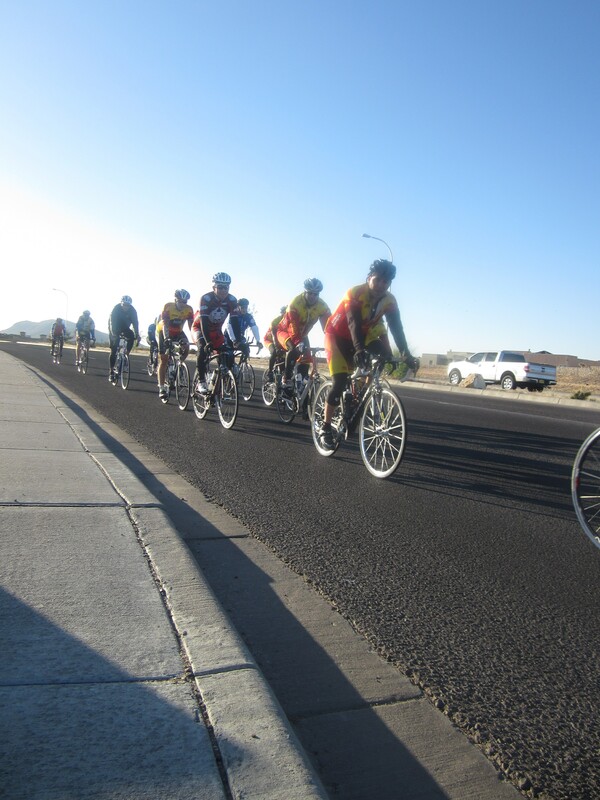 A month ago the Zia Velo team went on a Saturday ride along the Las Cruces Road Race route. Mike did the whole thing with them and I went along for the last part of the ride. I was glad to be able to at least know where they went when it came time for the race this weekend because I became the designated photographer for the whole thing. Mike and I were laughing because on Jason McClure’s bike (that Mike is borrowing) it has the words “Daddy is the best”. So fitting in many ways. 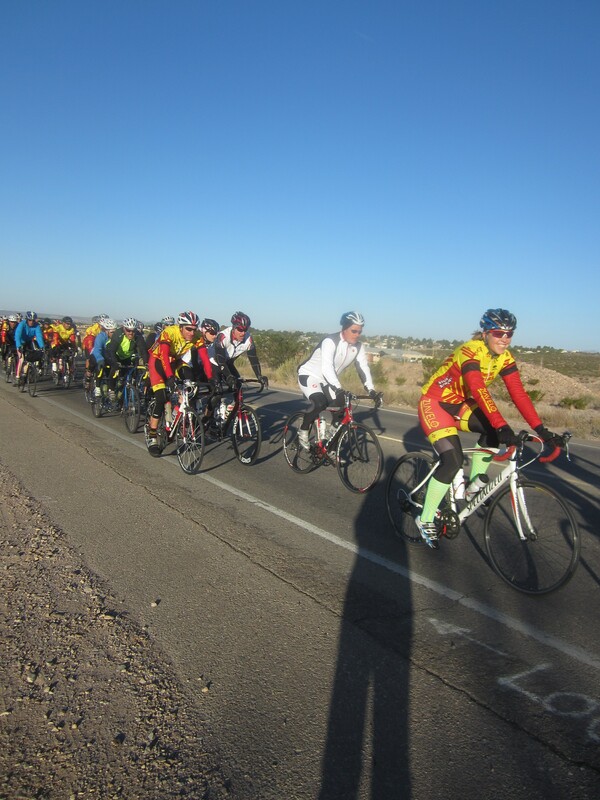 At the beginning, they rode up Dripping Springs towards the new high school. 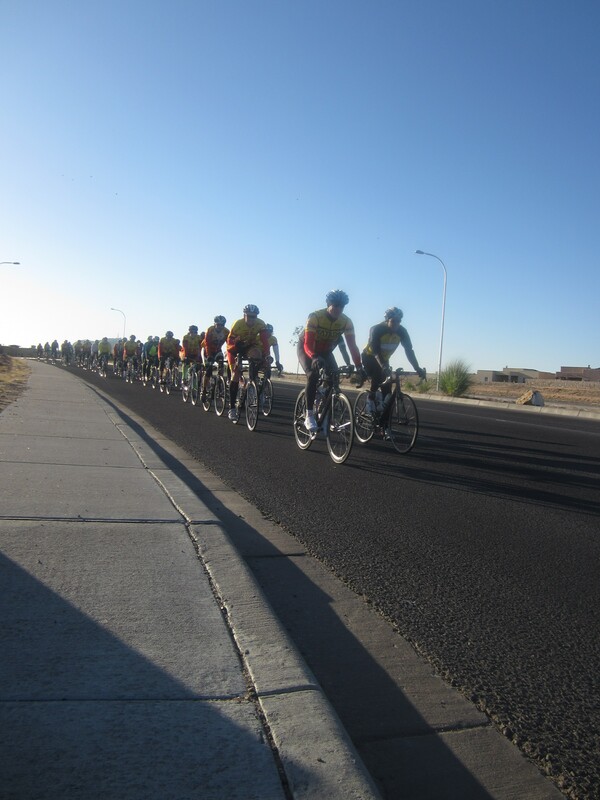 It is such a smooth road with a gradual incline (it is also the same road we do the Turkey Trot on too). The crew was yelling spontaneous things like “Liz + 1” and “Stalker” at me the whole time, but I was trying to get some good shots! I like this picture because Mike is waving at me. You can hardly see it, but it makes me laugh. 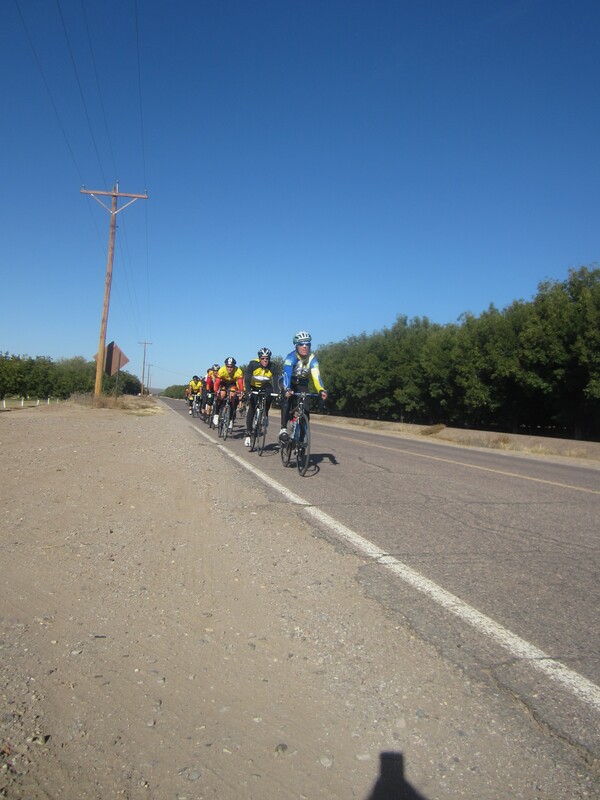 My favorite part of the ride is the part that passes the pecan orchards and heads over to Stahlman Farm. I LOVED the weather mixed with the view too. Couldn’t have asked for a better day to do it. 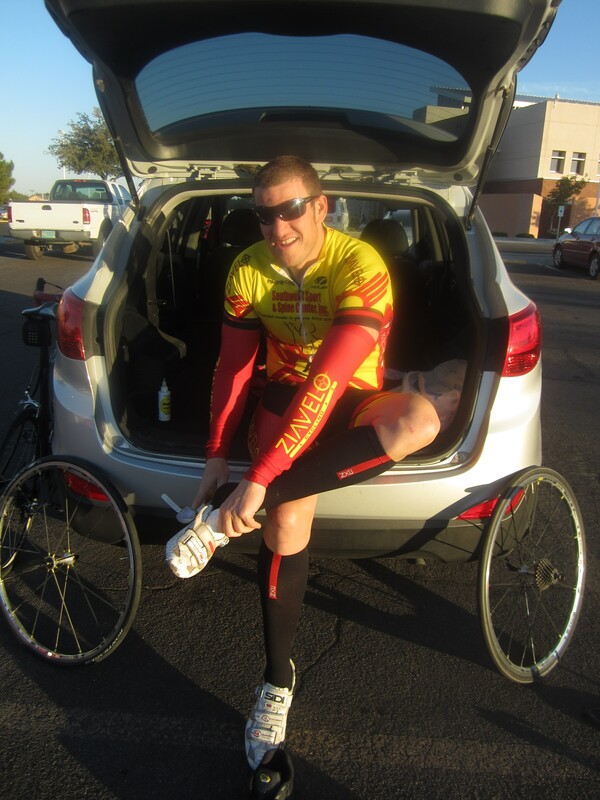 Matthew Busche who rides for Team Radioshack came along for the race as a tribute to his hometown. 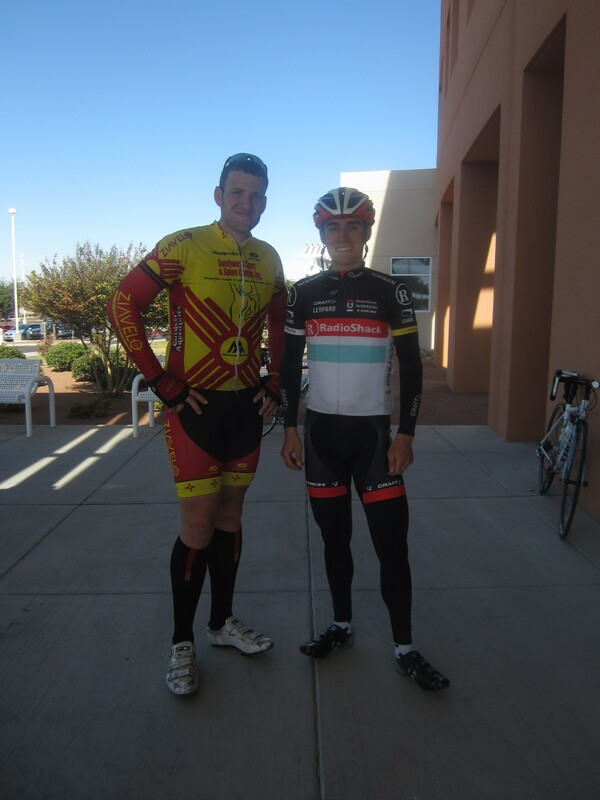 Mike was able to get a picture with him and we sat with him at lunch and chatted it up for a while. Nice guy! 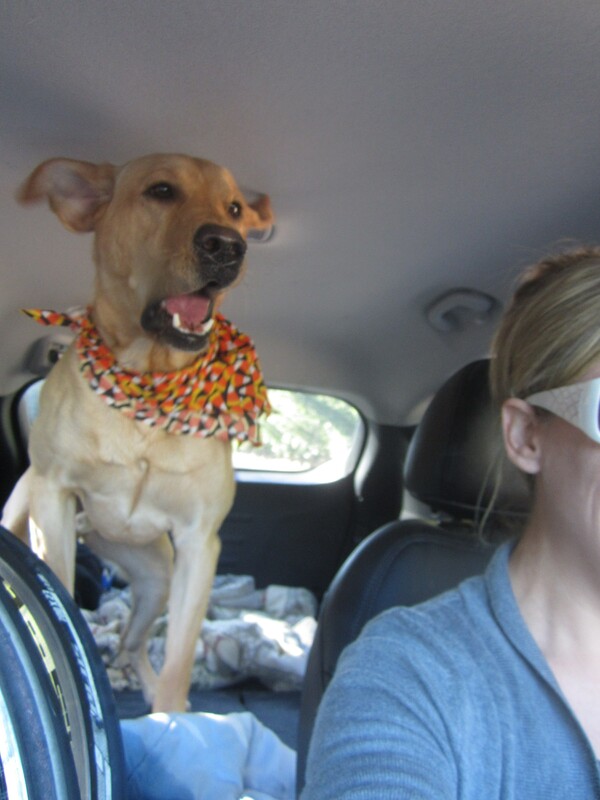 This entry was posted in 2012 Races, Barney, Mountain and Road Biking by thefasteryoupedal. Bookmark the permalink.